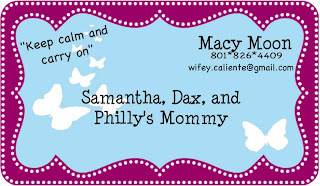 I have seen really cute "mommy cards" on a few business card sites and think that they are a great idea. I used FotoFlexer to make my own and decided to share the template with the rest of you. 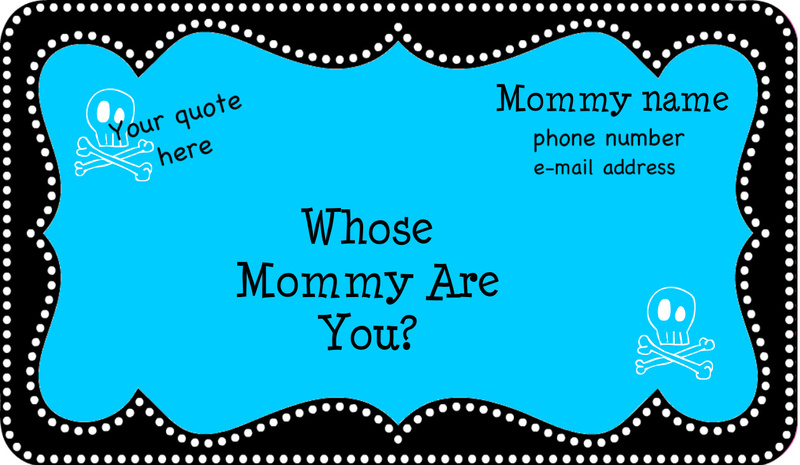 These are great to give to friends' parents for contact info or to set up play dates. 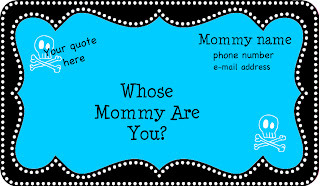 You can download the blank templates HERE and upload them to www.fotoflexer.com. Use the "Decorate" tab to add text and personalize your card. Resize it to 1260 by 735 and save it to your computer as a JPG file. Open a new Word document and insert the file. Format the picture to 2.1 by 3.6 inches. From there just copy and past to fill a page and print it on card stock. I'm sure there is a MUCH easier way to edit and print these, but I don't have Adobe Pro and I don't know how to do it any other way. If you have suggestions I would LOVE to here them! These are great. Thank you for sharing them. 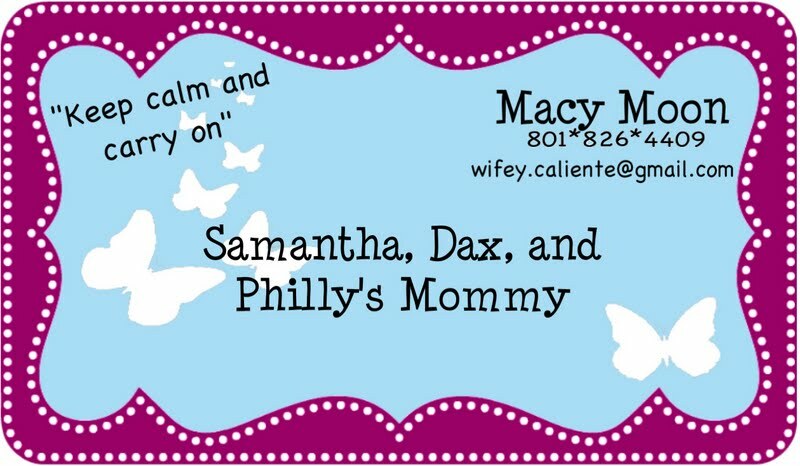 I was going to force my hubby to design me a set of mommy cards and now he is off the hook! He thanks you!! Come by www.cookieandclaire.blogspot.com if you have time. 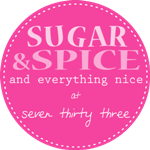 I am following your blog now and look forward to all the things you will create and share! Have a great night. Amazing post my friend good job and good luck for the next posts nice ideas.